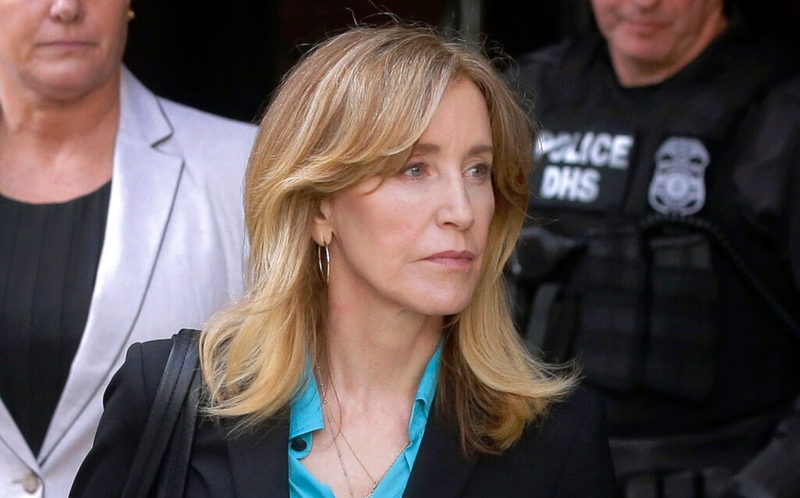 The move comes a day after fellow actress Felicity Huffman, 12 other parents, and a coach agreed to plead guilty — signaling an escalation in the case against the parents who are continuing to fight the allegations against them. Huffman, the 56-year-old Emmy-winner who starred in ABC's "Desperate Housewives," was accused of paying $15,000 disguised as a charitable donation to have a proctor correct the answers on her daughter's SAT. She and the 12 other parents agreed to plead guilty Monday to a single charge of conspiracy to commit mail fraud and honest services mail fraud.